I LOVE Monster books. Always have. One of the first, if not THE first, book I ever saw for an RPG was the AD&D Monster Manual. My love for these books has never waned. So of course, I am going to grab the new Monster books for 5e! 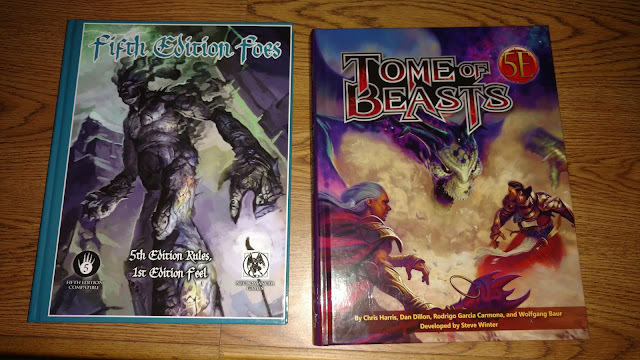 I am rather pleased with both of these, but Tome of Beasts from Kobold Press edges out in terms of things I want to use. There are just a lot of really great monsters in this book. Including some I will use in my current Come Endless Darkness game and some for the War of the Witch Queens. 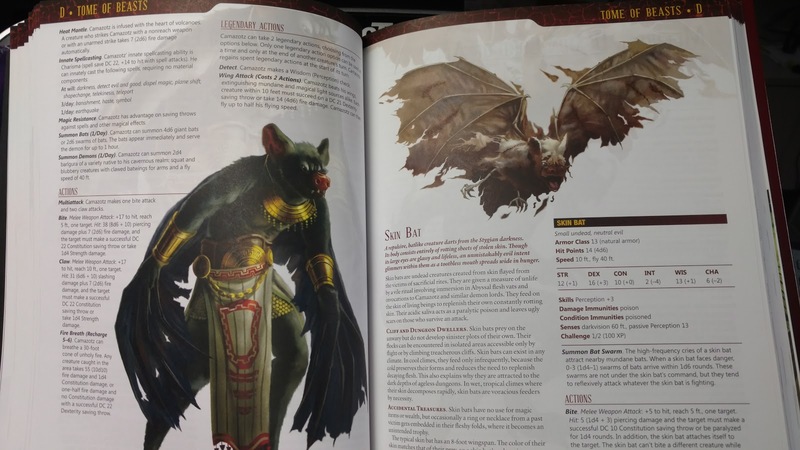 They have their own version of Camazotz which I am dying to use. I have not compared these stats to the ones I worked up a while back, But I think I will use these new ones since the players did not kill Camazotz the first time. There is also a new Witch Queen featured in the book. She is based, somewhat, and named after the Scottish witch Nicnevin. I will have to do a conversion of her sometime soon. Having someone that is the "Daughter of Scáthach" is just too cool to ignore really. I am not ready for a review of these just yet. But stay tuned. Special thanks go out to +Justin Isaac for letting me know about this book and that it featured Camazotz. You're welcome Tim. 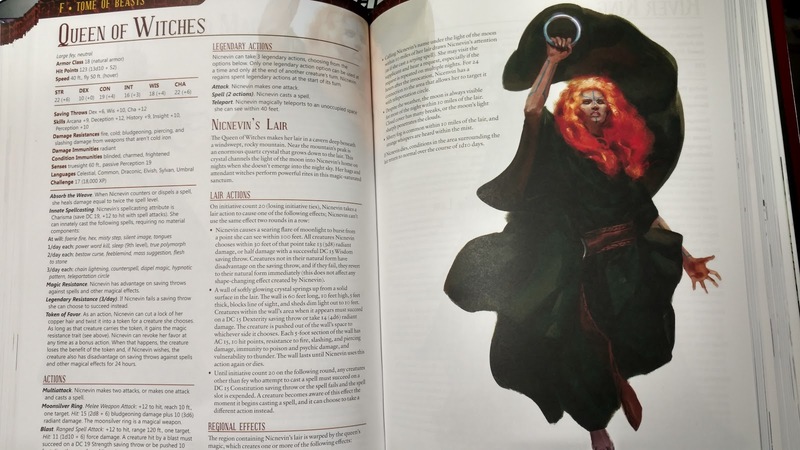 I have both, (though my copy of Fifth Edition Foes is just pdf). They're both great, though Tome of Beasts is my favorite. It just has so much going for it. Since I backed the Kickstarter for it, I also have the pawns, which look and work just like the Pathfinder ones.